Celebrating the theme of “Vita Morte Meraviglie” (Wonders of Life and Death), the 43rd edition of the Cantiere Internazionale D’Arte welcomes 65 events between the city of Montepulciano and the Senese Valdichiana. 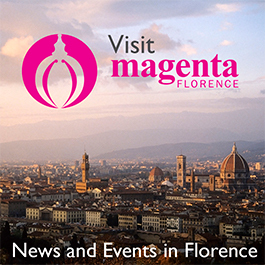 At the festival, spectators can choose from musical theatre, dance, opera, symphonic and chamber music events. Under the orchestration of Roland Böer, the festival is exploring the raw, sensitive question of “who we are” as human beings. The curators of the festival have harnessed the collective ambition of a diverse lineup of artistic groups to address this theme. The 43rd Cantiere opened with a musical theatre production: In the Shoes of Giufà, which centers on issues of migration. Original music commissioned by Portuguese composer Sara Ross and performed by the Giufà Ensemble premiered on July 12 at 10 pm in the Sarteano Castle. Performances continue July 12 – 15 and 18 – 22. All costumes used in the play are created by refugees who participate in CruneLab, a training center for migrants. Three new original choreographies will premiere on July 25 in Piazza Grande at 9:30pm, accompanied by the Orchestra of the Royal Northern College of Music in Manchester (RNCM). The Israeli team of Liat Dror & Nir Ben Gal Company dance to Pärt’s Silentium, The National Academy to Stravinksy’s Pulcinella, and the Italian Association of Dancers to Milhaud’s La Bœuf sur le toit. The skilled performers will prove dance’s status as a distinct artistic language with an ability to communicate ideas the voice often cannot. Conversation Pieces, a morality play written and directed by Marco Filiberti (showing from July 27 – 29, 9:30 pm) highlights the existential tension of contemporary man, focusing on a confrontation between reasoning and the unconscious. It is accompanied by a soundtrack commissioned by the official composer of this year’s Cantiere, Fabrizio Festa—adding an electronic flavor to the language of the stage. The distinguished Lombardi-Tiezzi Company explores the mysteries of love in Arthur Schnitzler’s The Return of Casanova on July 29. Their interpretation of the work includes live contemporary music and a trio of soloists to enliven the theatrical performance. 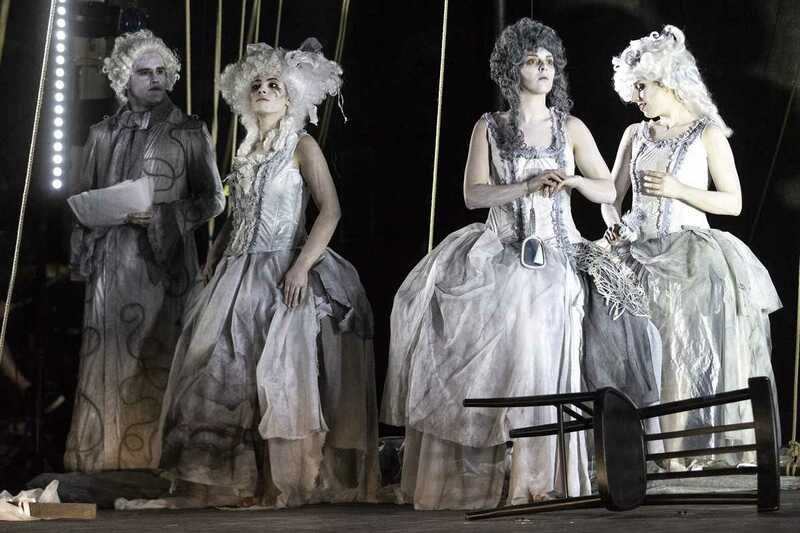 A production of Domenico Cimarosa’s operatic farce: L’impresario in Angustie premiered on July 15 and continues through July 17 at 6 pm in the Teatro Poliziano. Newly realized by Enrico Massa, the work is a meta-commentary on the stage as an artistic medium. Premiering July 18, at 9:30 pm at the Civic Museum of Cetona, is the work of Antonella Simonetti: “Life, Death, and Miracles.” This dynamic performance probes the eternal search for happiness, and the human desires and inner conflicts that affect it—all through the powerful medium of musical storytelling. A project focused on the centuries-old operatic art of “shipbuilding,” spotlights vocalists Sara Mingardo and Aldo Caputo on July 19. They will perform Gioachino Rossini’s famous work, La Petite Messe Solennelle, as part of their program, in part a celebration of the 150th anniversary of the composer’s death. The Great World of Theater will combine the worlds of theatre, music, and dance in an eclectic street performance, inspired by famous dramatist Pedro Calderón de la Barca. The show, premiering July 21 at 9:30 pm, will take Piazza delle Erbe as its set and meditate on the performative nature of human life. In a series of Symphonic Concerts the RNCMO will perform twice, both times under the baton of Roland Böer. In the first concert, on July 22, the famous and highly acclaimed pianist, Mariangella Vacatello, will perform Chopin’s Concerto No. 1 and Bela Bartok’s Concerto for piano and orchestra. The final concert, on July 29, includes La Valse by Ravel and Mozart’s monumental Symphony No. 40. The RNCMO will also play Shostakovich’s masterwork: Symphony No. 5, known best for its ethereal, pain-stricken melodies and a heart-pounding infernal march known for having one of the most ironic endings in classical music. A series of concerts dedicated to exploring the works of romantic composter, Robert Schumann, take place July 18, 19, 20, and 22 at 6 pm. The itinerary of this “Schumannian Journey” includes master-classes and musical performances. The program highlights Irene Novi (piano), Illaria Vanacore (soprano), and Michele Zaccaria (reciting voice), and includes special appearances from Gastón Gournier-Facio, Elena Minetti, and other invited soloists. Other highlighted performers through the rest of the festival include Valentina Valente and Alice Pasquini. For more details on the schedule and performances times of this years 43rd Annual Cantiere Internazionale D’Arte, see the festival website.